(Natural News) A smart meter is an electronic device that records the amount of electricity consumed by a household and then relays that information to the electricity supply company for monitoring and billing. 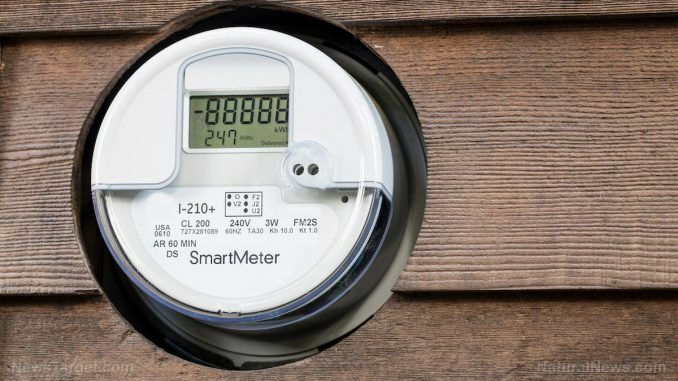 That might sound like a really smart, energy-efficient idea, but despite their intelligent-sounding name, “smart” meters are actually a really dumb idea – not to mention dangerous. The electromagnetic fields (EMFs) emitted by these devices have been linked to a variety of health problems, including headaches, fatigue, digestive issues and sleeping problems. There is also evidence that EMFs cause more serious conditions like autoimmune disorders and certain types of cancer. And, as if that wasn’t enough reason to refuse to have one of these devices in your home, research has found that they aren’t even accurate! Not only do they put your family’s health at risk, but they may be ripping you off financially at the same time. As reported by Natural Health 365, a study published in the journal IEEE Electromagnetic Compatibility Magazine, conducted by researchers from the University of Twente and the Amsterdam University of Applied Sciences, found that some smart meters give readings far higher than the actual amount of energy consumed. In fact, some of these meter readings were over 580 percent higher than they should have been. To conduct the study, lead researcher Franz Leferink, Professor of Electromagnetic Compatibility at the UT, tested nine different electronic meters manufactured between 2004 and 2014. The meters were connected via electric switchboard to various power-saving devices – including energy-saving light bulbs, heaters, LED bulbs and dimmers. The team then compared actual energy consumption with the readings furnished by the electronic meters. Interestingly, of the remaining four meter types, two were accurate and only two billed less (32 percent) than the actual electricity consumed. The odds are overwhelming high, therefore, that you are more likely to get stuck with overbilling than underbilling. The researchers discovered that there is a design flaw in some meters which causes the elevated readings. Meters containing a “Rogowski coil” current sensor delivered faulty readings when used in combination with modern, energy-efficient switching devices like dimmers, LEDs and energy-saving lightbulbs. The reason for this is that when these modern devices are used, the electricity produces an erratic rather than a perfect waveform, which these types of meters have not been designed to read. Unfortunately, all these types of meters are certified and meet legal requirements, which means you have to know exactly what you’re getting if you do decide to ignore the health risks and choose to install a smart meter in your home. Learn more about smart meters at SmartMeters.news. VIDEO: Someone is Handing Out Stacks of Cash to the Migrants Headed to U.S.